I've said it before and I'll probably say it about a million more times - IF YOU'RE GOING TO BE OUT IN THE SUN, IT'S VERY IMPORTANT TO WEAR SPF. Like Baz Luhrmann said, "If I could offer you one tip for the future, sunscreen would be it. The long term benefits of sunscreen have been proved by scientists." I've gone on before about why it's important to wear sunscreen, so I'm not going to do it again. Besides, we all know! Luckily for us, there are a lot more options on the market for SPF products with different levels of protection, different formulas, and different intended uses. 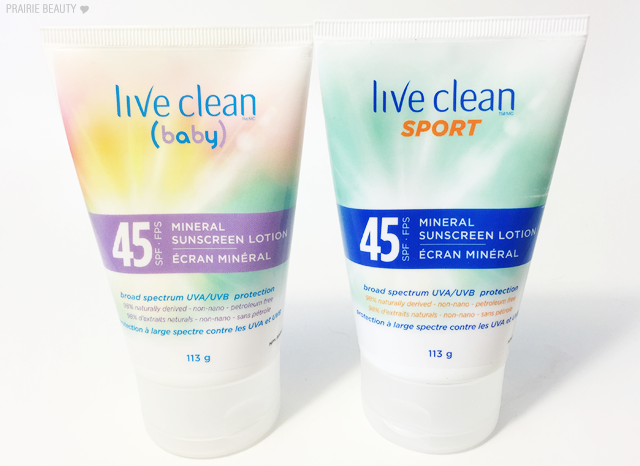 Today, I wanted to give you guys a little look at two great options from Live Clean*, which you all know is one of my personal favorite brands! I know some people who might be unfamiliar might have some questions about what "mineral" sunscreen means. Generally, your mineral sunscreen is going to have Zinc Oxide, Titanium Dioxide or both in it, which sits on the skin and reflects the sun, as opposed to chemical sunscreen which sinks into the skin and absorbs the sun. For me, the type of sunscreen that you choose to use should be based on your own preferences, but I definitely do like a physical (or mineral) sunscreen over a chemical one personally because I tend to have sensitive skin and I've found that I don't get irritation from physical sunscreens. Again, I do encourage people to do some research about sunscreen and choose the one that's best for them, because the best sunscreen is really one that you're going to use! 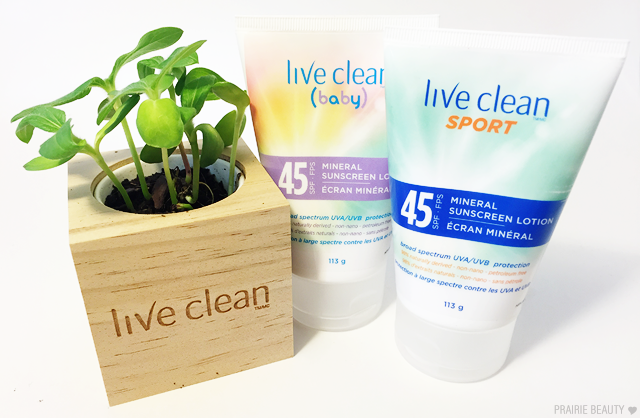 As you can see, there are two options from Live Clean for sunscreen, Live Clean Baby* and Live Clean Sport*. Now, I have to admit that I can't really tell the difference between the two, so I'm going to talk about them together. Both of these are formulated with Zinc Oxide (9.0%) and Titanium Dioxide (7.0%), offering broad spectrum protection against both UVA & UVB rays, and also contain really nourishing and soothing ingredients like shea butter, aloe, echinacea extract and green tea extract. These literally have no scent to them - and trust me, I sniffed really hard trying to find one. At most, it smelled a teensy bit like the diaper rash cream. Weird way to describe it, but that's literally all I could get from it and that was with a hard sniff, like I said. The first thing that really jumped out at me about these is that they are THICK. I worried when I first squeezed some onto my skin that they were going to be difficult to work into the skin, but I needn't have worried. I actually found that this warmed and smoothed into my skin really easily and I didn't have any overwhelming white cast. I think this is great for kids, because they never seem to like to stay still long enough to work the sunscreen into their skin, but this works in easily. I also didn't find this to be greasy on my skin. It did look a little shiny, but it didn't feel greasy or overly sticky on my skin. 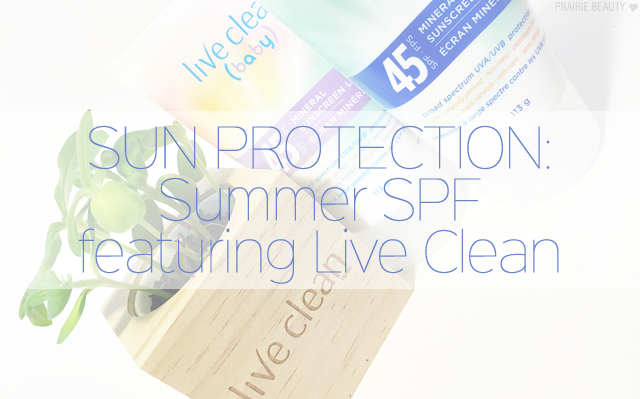 Overall, I'm really impressed with this sunscreen formula and I'm definitely going to keep busting it out for days at the beach or out on the lake this summer. If you're interested in picking these up, they're available now and I've seen them on the shelves in local stores!